Uttar Pradesh's young left-arm spinner Shiva Singh's unconventional delivery stride with a 360-degree rotation during a C.K. Nayudu Trophy match against Bengal was called a dead ball by the umpires but his bizarre move did generate a lot of discussion. 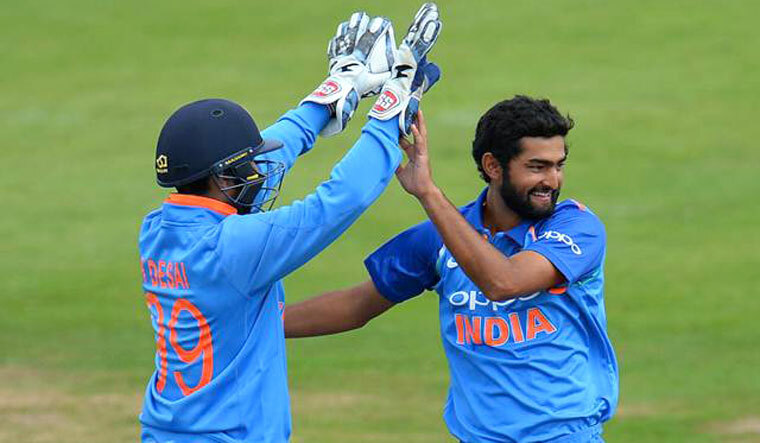 During Bengal's second innings, Shiva, who was a member of the Prithvi Shaw-led India U-19 World Cup champion team, suddenly twirled before loading up and then sent down the delivery. The 50-second video went viral after India's greatest left-arm spinner Bishan Bedi tweeted it. However, even before Shiva had completed his delivery, umpire Vinod Seshan signalled dead ball, much to the frustration of the bowler. The match is being played at the Bengal Cricket Academy ground at Kalyani. The match was halted briefly as the umpire explained to Shiva why the delivery, as per the MCC's Laws, is illegal. According to MCC's clause 20.4.2.7, "either umpire shall call and signal dead ball when there is an instance or deliberate attempt to distract under either of the Laws 41.4 (Deliberate attempt to distract the striker) or 41.5 (Deliberate distraction, deception or obstruction of batsman). The ball shall not count as one of the over." There were discussions on social media that if a batsman is allowed to switch hit why can't a bowler be allowed a variation such as 360 degree rotation on delivery stride.